If you follow this blog or LTO over on Twitter, you may know that my family canceled our cable some time ago and did the Netflix thing. It didn’t work out. More on that later. We canceled our cable for a few reasons: rising costs, unhappy with the service, kids watching too much TV, Mom and Dad using the electronic babysitter too much, fights over shows leading to bad attitudes (kids and parents), etc., etc. So, we got rid of it. My husband and I only watch a couple shows anyway, and we’re so far behind because of our busy schedules that we decided that we would rent or buy the entire season after the shows aired live and watch them on our own time instead of being slaves to a programming schedule (we got rid of our PVR last year). Also, lack of cable meant we had to engage with our kids more. Something that we were finding was slipping away whether we tried to engage with them or not. It seemed like they always wanted the TV more. (I know that’s not actually true. But it was as easy for them to sit and watch TV as it was for us to say, “Go watch TV while I cook supper/do laundry/clean up/play on my phone ← we didn’t actually say that…but we did it. So Netflix was, we thought, the answer. The kids didn’t know how to use it (it’s a little more involved than just hitting power and then ↑ or ↓ on a remote) and we could watch shows and so could they, but we would be in control. And the cost was so much easier on the wallet than our cable package. So Netflix was gone and we spent the summer frolicking in the late evening sun and not really thinking about it all that much. Then fall set in. The evenings got shorter. Hockey season started. And we all wished we had a little bit of TV to watch. That’s when I heard about Kidoodle.tv. It’s a TV service for kids. It’s 4.99 plus tax a month (great price!) and you can create profiles for each child who will be watching shows on Kidoodle. They have shows like Mona the Vampire, Casper the Friendly Ghost, Chuck and Friends, Caillou, The Busy World of Richard Scary, Super Why, Rescue Bots, My Little Pony, and so many more. And, it’s easy to use for the kids. So now, I can hook my laptop up to the TV, hand my daughter the mouse (which she’s already skilled at using) and they can pick only the shows that I have added to each of their profiles. Or, if I’m using my laptop for work, the kids can watch it on the computer. Easy and convenient. They have control and so do we. An added bonus in my family is that the hiatus from TV was just long enough that my kids don’t care so much about watching endless streams of shows anymore. They watch one or two shows, then they log off and do something else. Finally, a happy balance. If you have a chance, and you’ve got kids in your house, you should check out Kidoodle.tv. I’m glad we did. 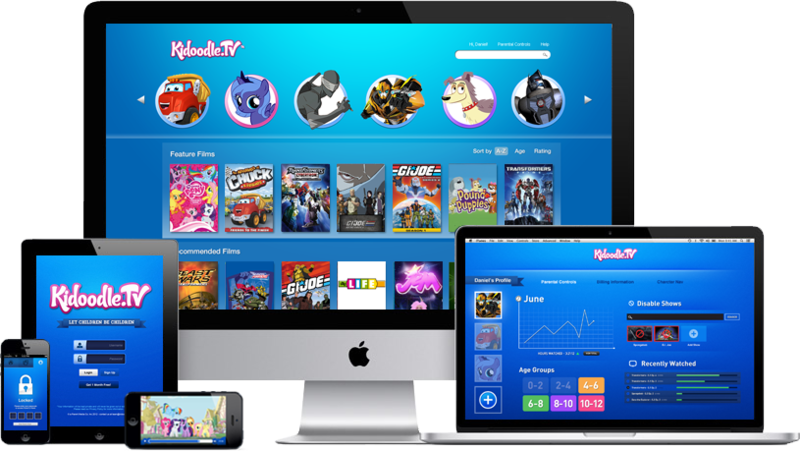 I tried Kidoodle.tv as a beta tester. The opinions above are, as always, my own. I received no other compensation for testing and reviewing Kidoodle.tv. This entry was posted in Uncategorized and tagged Family, Kidoodle.tv, Kids, kids' entertainment, Media, media, Parenting, Reviews & plugs, streaming TV, TV on November 17, 2013 by Nancy. Great post about Kidoodle! I signed up for the beta as well since I have a 21 month on niece who is already an iPad expert. I do plan on keeping it as it’s a very inexpensive way to get high quality kids programming in a safe and ad-free environment.